Our Birmingham live music & DJ guide for February 2019, offers original and alternative nightlife, gigs, parties and music listings. 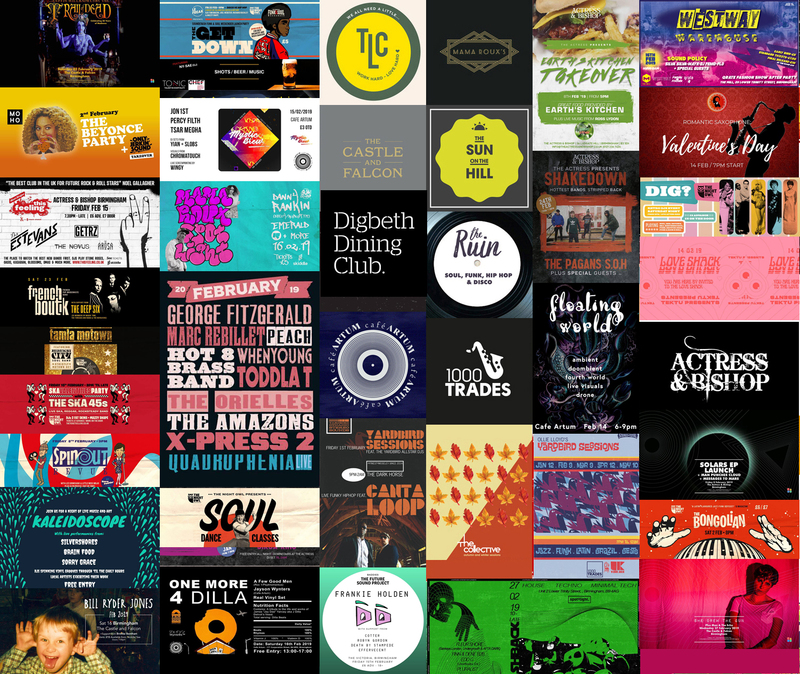 We work with local promoters and venues each month to ensure you won’t be missing out on the very best this city has offer. For our pick of the best live music today and this month, check out our Youtube playlist below (auto-play or skip through). Scroll down for full recommended listings. A range of regular monthly DJ and jazz nights nights take place at 1000 Trades. Not forgetting the best in balearic, house, disco and soul Saturday evenings and Collective, Soulshake, Loose Joints on Fridays at the Lord Clifden (the best Sunday Roasts too!). The Ruin, Digbeth is home to some of the city’s finest disco, funk and vintage house DJs every weekend. You can find soulful & funky live jazz at The Spotted Dog, Digbeth every Tuesday. Bourne & Co host DJ Damian Saturdays playing latin, soul, disco and boogie.